Why Consume Black Seed Oil? 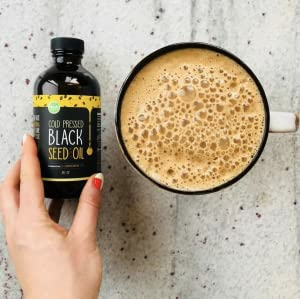 We discovered Black Seed oil a few years back when we were looking for healthy fats and oils to incorporate into our diet. This oil is absolutely jam-packed with the omegas you need. Black Seed Oil has been used for thousands of years and its use actually dates all the way back to the ancient Egyptians. We felt it was time for us to do our part and bring this powerful oil back into the public eye. Black seed oil is extremely versatile and easy to consume. You can ingest it, or use it topically (on your skin and hair). Blackseed oil (aka Kalonji Oil) is packed with powerful nutrients that can help unleash a youthful appearance and vibrance that you will notice. It contains a large dose of omegas, amino acids, and antioxidants. We consider it an extremely important source of fatty oils for your everyday life just as the ancient Egyptians and Ottomans did. 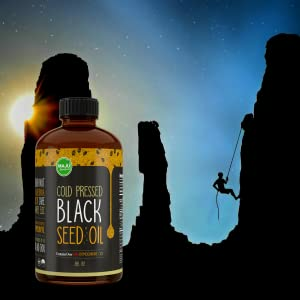 We wanted to offer not just any black seed oil, but the strongest most nutrient-packed black seed oil in the world. When it comes to Black Seed Oil, Turkey is simply the best source. Our Black Seed Oil was grown by a reputable Turkish farm 100% pesticide or herbicide free, is slowly cold pressed, and is non-GMO. Stack us up against any USDA organic black seed oil. Black Seed Oil is jam-packed with heart healthy nutrients. Maju's oil is filled with omegas 3, 6, 9 to support cardiovascular health. Our Black Seed Oil was tested in a lab using High Performance Liquid Chromatography to confirm the potency of the oil. We wanted to test for those essential chemical compounds that make black seed oil so powerful. 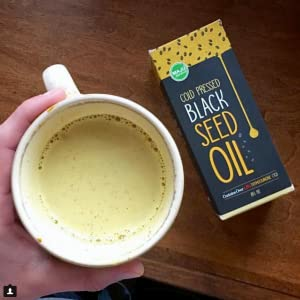 We offer this particular Turkish black seed oil because not only is it palatable & pesticide free, but it is also the strongest we found anywhere--we looked and compared products from Israel, India, Egypt, and more. Try us out for 30 days. Don't like it? No questions asked, you'll get a refund. We're in this with you for the long haul. No hit n' run superfoods here. Two friends started this company with one mission: offer the world truly exceptional products made by nature. Our products are grown in clean conditions in countries we trust. Because we use these products ourselves, we bring a level of attention to detail you will find nowhere else. We sell what we love--that's it. I've lost 43 lbs in 2 months with the help of this amazing black seed oil! Thanks Maju Superfoods! Black seed oil helps with my knee pain, joints and blood pressure. Waiting on my report for my Cholesterol test.. I have very sensitive skin and often break out with red, blotchy spots. While I have only been taking this for a short period of time, the red patches on my skin are getting better and are definitely less noticeable. The best seed oil I ever take , the taste I not too bad , since I’m taking it i fall in sleep easily, my son had a skin problem I use it daily it’s work very well , I will continue to buy it to enjoy other benefits. I don’t believe I have used this black oil long enough to see max results. I love it & da taste is not bad it reminds me of old remedies my mother used way back when!!!!!!!!! This is my second bottle. I notice my skin looks amazing. And the taste is much better then the original. Also my stomach has went down. a bit gassy all the time. But it is good. I bought the black seed oil because my husband was told he had high blood pressure. We try to keep it natural and stay away from prescriptions. I looked into a few things and found this product. We drink it in our coffee and sometimes I just take it straight up! I also heard that is it good for arthritis which I have started to develop over the years and have noticed a difference in my knuckles! We love it! The whole house is on it Black Seed Oil works. I take two teaspoons a day a d am sleeping better. Still waiting for the energy boost but know its coming. Great product and the taste isn't too bad. I purchased from MAJU because I was looking for a quality Black Cumin Seed oil product. I don't have access to a lab that can test the purity of the product I received so I rely on the reputation of and claims made by MAJU. I've only been using the product for a short time and it appears to authentic. The label on the 8oz bottle I received, I'm sorry to say, does not inspire confidence. It looks like something a high school kid designed. And the Nutrition Facts disclosure is barely legible because of the small font size. The words "Nigella sativa" listed under Ingredients - the only real legally enforceable constraint - are so small you need a magnifying glass to read them. MAJU needs to understand that we are not interested in reading "Our Story" blurbs with arrows, large fonts and colors. We want the name and address of your facility, the origin of your raw material, and third-party certifications of purity (if you have any). We should not have to squint to read these things. have used it for only a few days. need more time to see... took it directly in my mouth and let it melt.... don't see any change but of course more time is needed. will tell later. I’ve noticed the eczema on the back of my foot is healing very nicely. The taste is weird but I put it in my drinks. I’ve used it on my skin not seen any issues occur which is good. Might grab another bottle before Christmas I want my grandmother and mum to try. I take a teaspoonful of raw unfiltered organic honey, then a teaspoonful of Maju black seed oil twice a day. It seems to help with inflammation in my hands which is sustained from manual labor at my job. If I happen to forget to take it in the evening, it's certainly noticable. I can only compare Maju to one other brand, which sources their oil from the Middle East And Asia. This oil is lighter in color and flavor, and is so much more pleasant tasting, it can be taken by itself. So glad to have found Maju- I'll certainly be sampling their other products! Surprised on how well it tested . Worked wonders on my body! 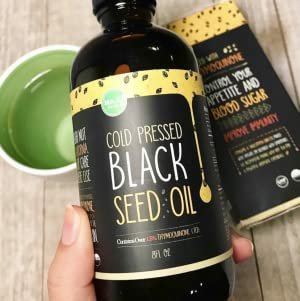 I have been taken black seed oil for over 2 years now when I started I was taken close to 13 meds for high blood pressure and A-Fib and now I’m only on 2 meds just for high blood pressure and this is by far one of the best black seed oil on the market! This product is amazing it instantly helped lower my Blood Sugar levels and it doesnt tast bad and I will always be a customer of this product and it is affordable! I have never written a review but this is a wounderful product. Just 10days l have seen a big difference. My sleeping and pain has gone down tremendiously .l hope by the time l finish the bottle. I will add more to mg review. I will recommend this product. I've used the perfect pressed black cumin oil for many years. This oil tasted a little different than the oil I've used. It wasn't as dark as the oil I've used. I have more energy now than before I started taking the Black Seed Oil. It is easier to get to the end of the day and not be so tired. I have been the sole caregiver for both my parents since 2012. When I had to finally put my mom into a nursing home because of her Alzheimer's I thought I would have a bit more energy to tend to my dad with. But I didn't. I was just too worn out and nothing seemed to help. Then I discovered Maju Black Seed Oil and it has made the difference. I am so grateful I discovered this product! I have been able to break my weight loss plateau. It's a small loss but a loss is a loss. Very good quality product, just as described! I have tried others, but none compare to Maju's! Thanks for making this available - and best of all, I caught it on sale! Love this oil, I feel it has been beneficial for my digestion. Can't wait to get my next order. I really enjoy using this black seed oil! The milder taste is great. I was bothered with pain in my heel, now it's gone and I had shoulder pain that has improved a great deal. Can't wait to see what else it does! Thanks for providing such a great product!! Recommended by a trusted friend for help in replacing lost of trace minerals. It has helped in my recovery and will continue to make it part of my diet. I have been using the oil as directed for several days. I have not noticed any side effects (except maybe the taste being a little strong, but I have not noticed any improvements either. Will continue using. I love taking the black seed oil. The flavor is milder than others I've tried and I feel good taking it. Amazing Bought this for my dad for Father’s Day, he’s 83 yrs old. No joke - his gray hair and eyebrows started to get their color back! I wouldn’t have believed it if I hadn’t seen it. Best I have ever tried I really love this black seed oil. I use it every single day. Thanks so much for making a great product.